Building community and cultural awareness is key. These are just some of the many things out there for our people to come together and enjoy. 32nd Annual ECC Pow Wow - "Water is Life"
Location: Ballard Elks Lodge #827 6411 Seaview Ave NW Seattle WA 98107 Tickets Available: sierra.secure.force.com Kinder Morgans pipeline and tanker project poses a serious threat to the Salish Sea/Puget Sound, our climate, economies, and communities. 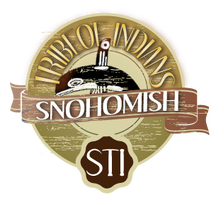 The Lummi Nation is leading this community building event.